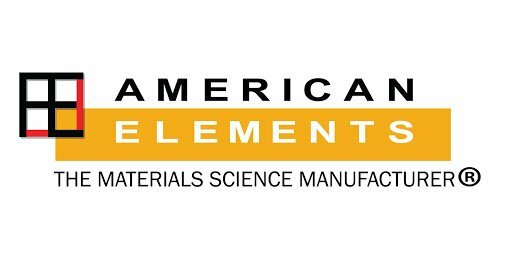 American Elements produces a full line of state of the art and traditional wastewater treatment and site remediation chemicals to aid in the management of water sources including industrial wastewater, municipal water facilities, nuclear reactors, groundwater and soils contamination, and swimming pool & spa applications. Products aid in corrosion & scaling prevention, coagulation & flocculation, phosphate removal and pH adjustment. American Elements maintains industrial scale production for all its water treatment and maintenance products. Additionally, American Elements provides customer guidance on topics such as dosing, water analysis, treatment chemical formulation and material safety data. American Elements provides funds to support water conservation and groundwater remediation research programs at the UCLA Institute of the Environment and Sustainability (IoES) in Los Angeles, CA. American Elements' Phosbuster™ line of phosphate removal is the one of the first products to use lanthanum as a binding agent in order to reduce phosphate levels into the parts per billion range. American Elements Heavy Water Gadolinium Nitrate solution is the first of its kind to permit the use of gadolinium as a neutron getter during nuclear vessel clean out without contamination of the deuterium cooling water. Phosphate buildup is a challenge to any municipal water treatment plant handling agricultural or industrial waste streams that often contain phosphate bearing nutrients, cleaning solutions and solvents. Phosphates are difficult to treat and remove. In 2005, American Elements developed a line of powders and solutions based on the unique ability of lanthanum chloride to absorb phosphates at the parts per billion levels. After optimization American Elements constructed a bulk production facility and launched the product in May 2006 under the trade name Phosbuster™. In 2012, American Elements sold their supply business and licensed the name Phosbuster to another company in the industry. Phosbuster is now used globally by municipalities from Milan, Italy to Los Angeles, California to control phosphate build up in their treatment plants and can also be purchased by retail consumers for use in home pools and spas.